What’s better than a nice handmade hat? 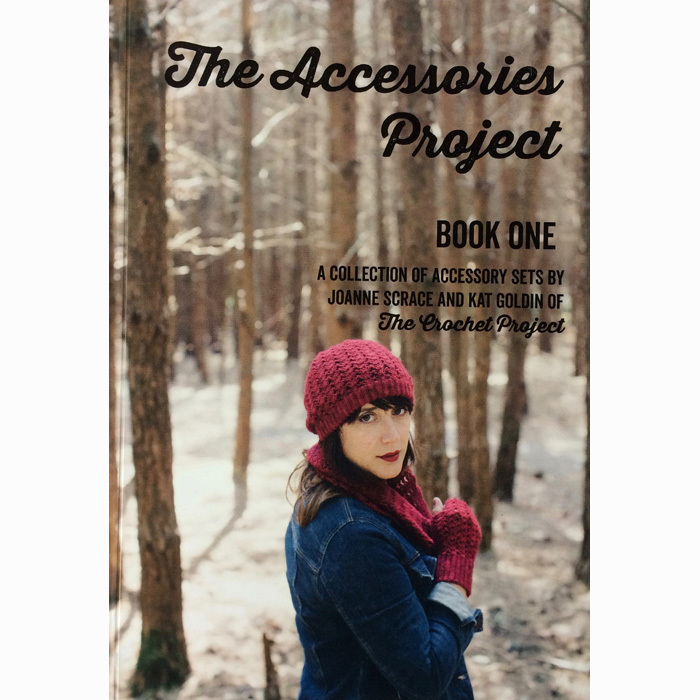 A handmade hat with matching accessories to keep your hands and neck warm too. Four accessory sets so you can chose whether you want a complete matching set or a bohemian mix. 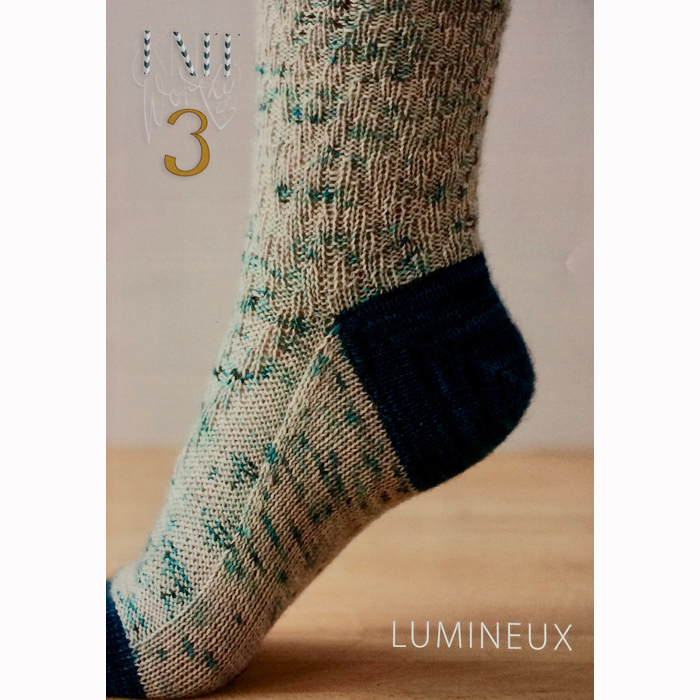 There’s a wealth of interesting techniques and constructions and one set is even made from our own hand dyed Ainsworth & Prin Blue Faced Leicester DK. 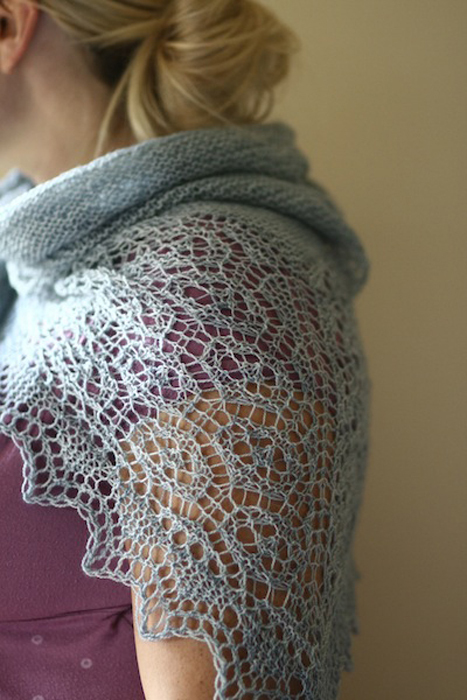 A light as a feather, easy to wear shawl…whether you wear it in the day to keep the sun off your shoulders or in the evening to battle the chills. It is named for the Altair geometric colouring books, the forerunners of the modern adult colouring obsession because the striking geometric lace pattern reminded me of my love for them. Note: There is no direct US conversion for a 2.5 mm hook so if you can’t find this size, work with either a US B/1 or C/2 depending on whether your gauge is loose or tight, and always use a hook size that will result in the correct gauge after blocking. Notes: Altair starts at one point and is worked in a pattern that increases on the neck edge towards the shortest edge. RS and WS are notional as pattern is fully reversible. As the pattern starts at a point it makes sense to start the pattern as your swatch. Stop, wash and block the piece to check tension and drape then if satisfied you can continue to work. 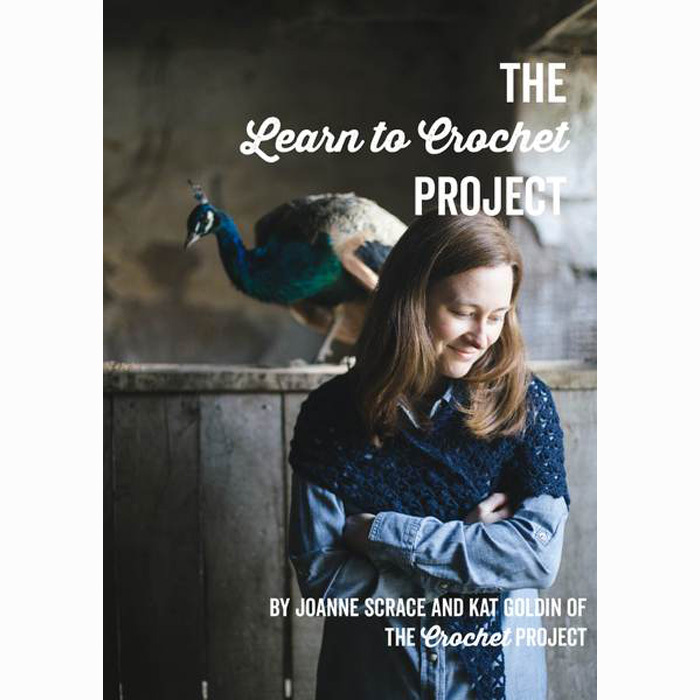 UK crochet terminology used throughout. 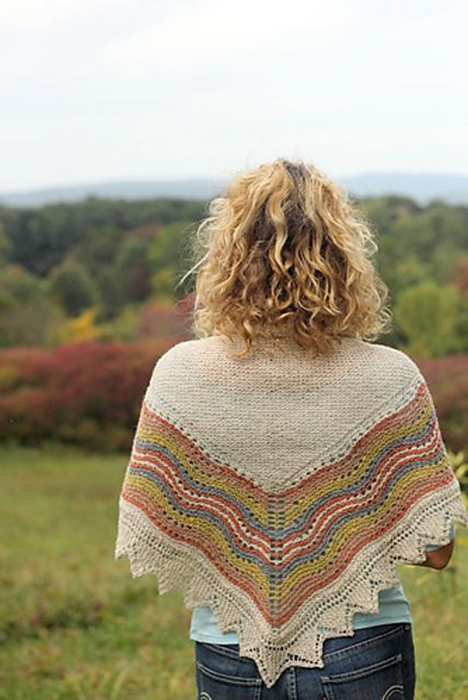 A top down triangular shawl with a wonderful graphic feel. 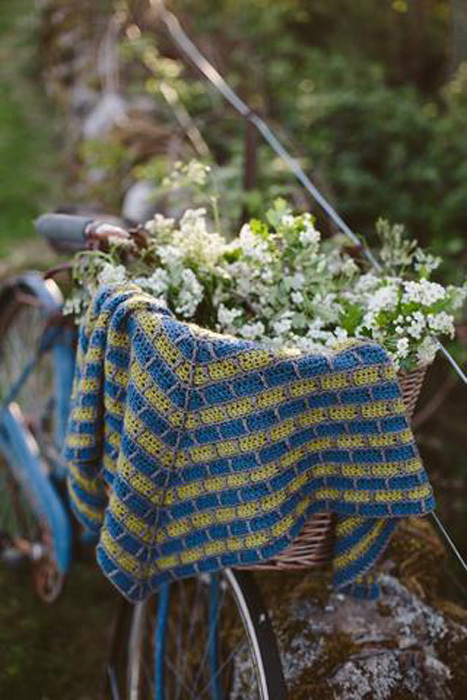 Using three colours of DK weight yarn it is an easily memorable pattern that looks more complicated than it is. 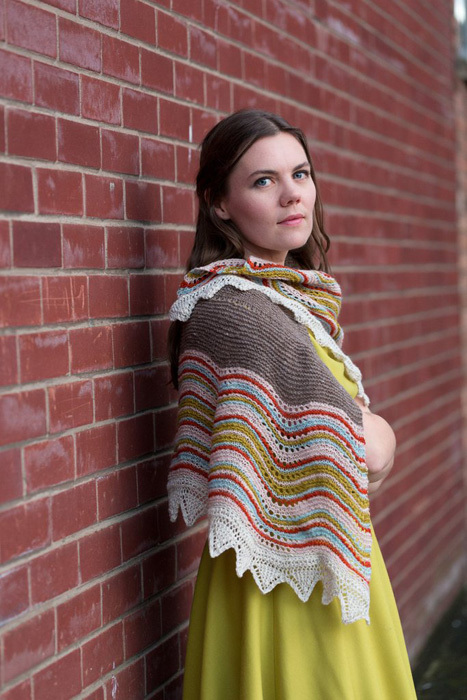 With stripes, short row wedges and alternating stitches there’s something to always keep you interested in this shawl pattern. 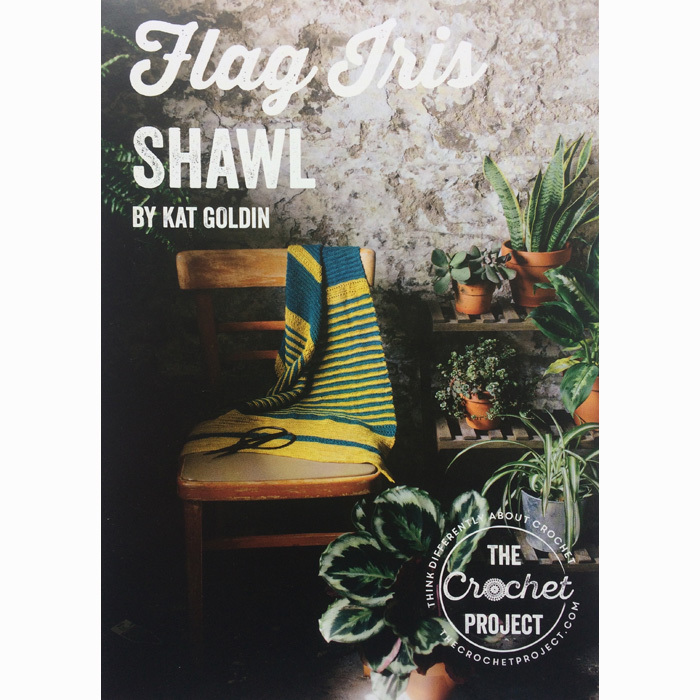 A lightly textured and patterned shawl that can be worked in vibrant stripes but would look equally beautiful in neutral or muted shades. 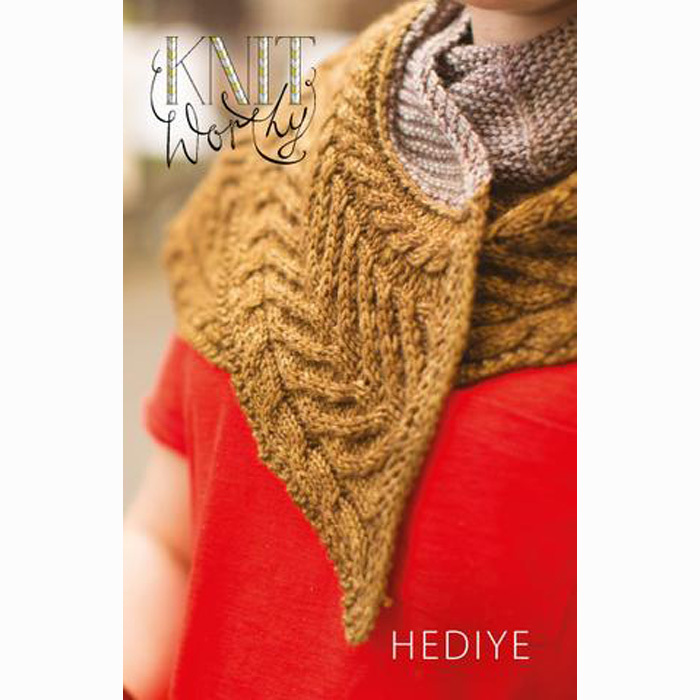 Fan motifs are used to create a wide narrow shape and open drape for this shawl. It starts at the bottom with three adjoining motifs and then builds up in rows. The motifs are joined in as they go, with outer edges using foundation stitches where there is no motif to work into. 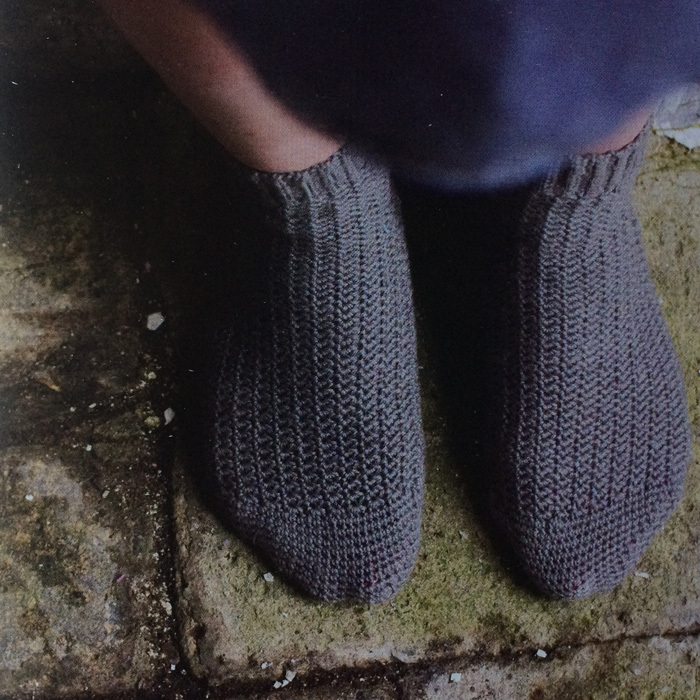 Whether you want to treat a loved one or yourself, these quick to make crochet socks are a hug for your feet. 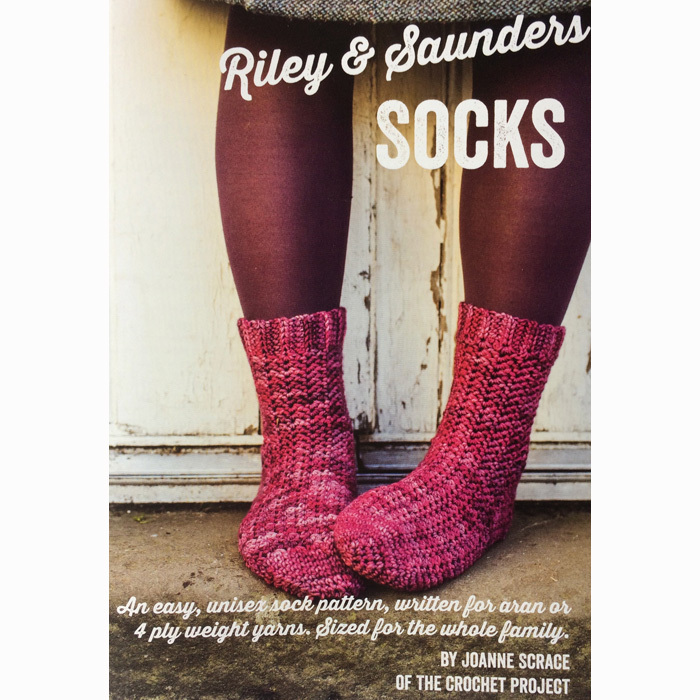 Riley and Saunders are two complimentary sock patterns into yarn weights. With a wide range of sizes from baby to size 13 adults you can make them for every member of the family and the length is fully adjustable for a great fit. Both are worked cuff down. 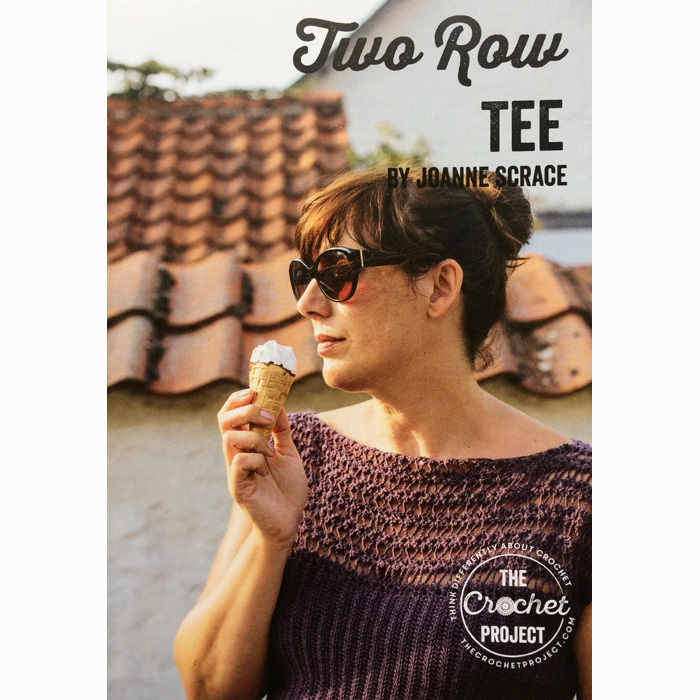 A figure flattering top is as easy to make as it is to throw on.The sideways construction means there are only two rows to the pattern and the seamed (but no sew) construction means that you literally can’t get the fit wrong. Finished bust: Fully adjustable . Designed to be worn with 10% negative ease at the bust. Eg. for a 40in bust finished size will be approx. 36in. Finished length: For underarm depth S (M, L) total length from shoulder to hip is = 53 (58, 62)cm/21 (23, 25) in. Because the top is sized to exact fit, yarn amounts may vary. (optional), missing stitches, working into chain spaces. Worked sideways in two pieces, joined with crochet rather than sewing. The top is designed to be worn with a lot of negative ease in the bust and hips (ie stretch to fit). 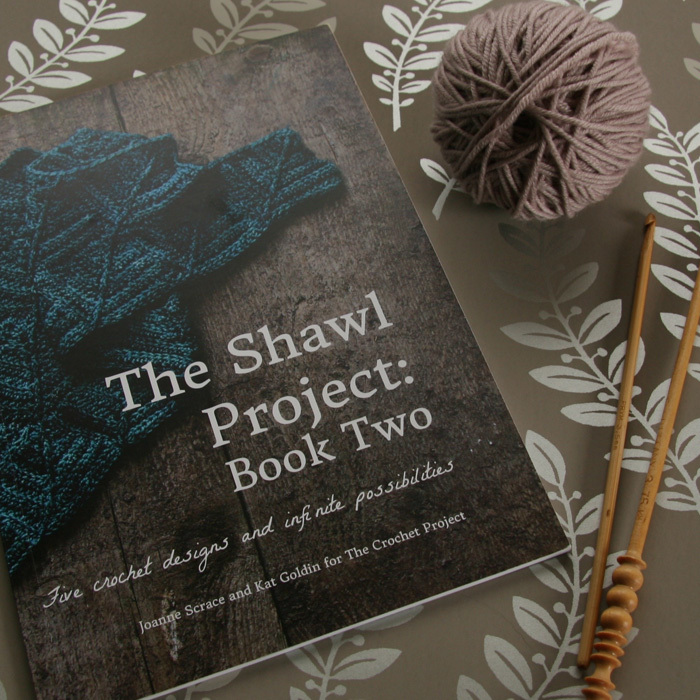 Five shawl patterns based on mini-skein sets. 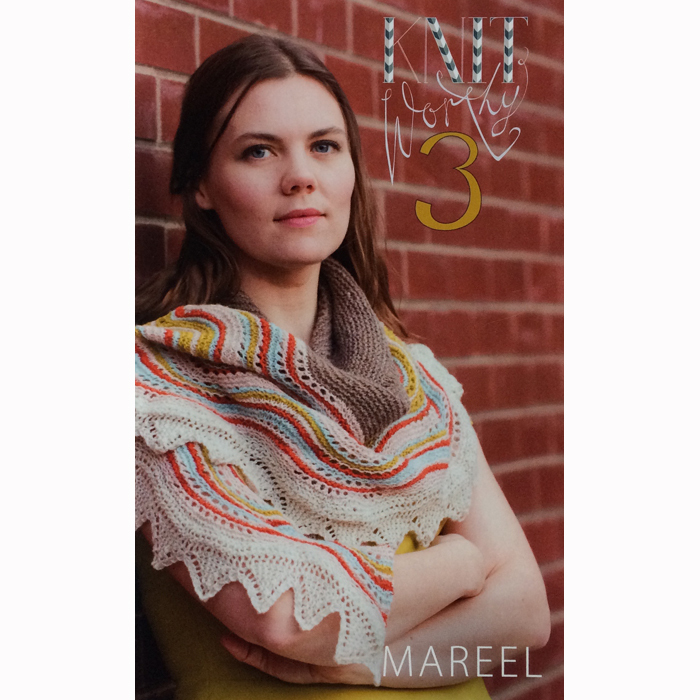 The patterns work well whether you want to invest in a mini skein set or if you want to use up small amounts of yarn left over from other projects, with each pattern using either a 100g pack of 4ply mini skeins or a pack of skeins and an additional 100g. 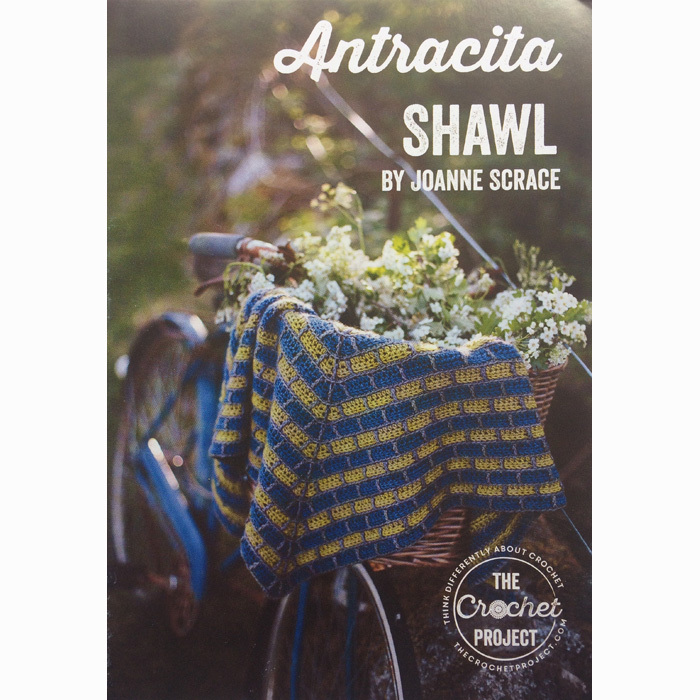 Five new designs from The Crochet Project for stunning shawls all using two 100g skeins of 4ply yarn. 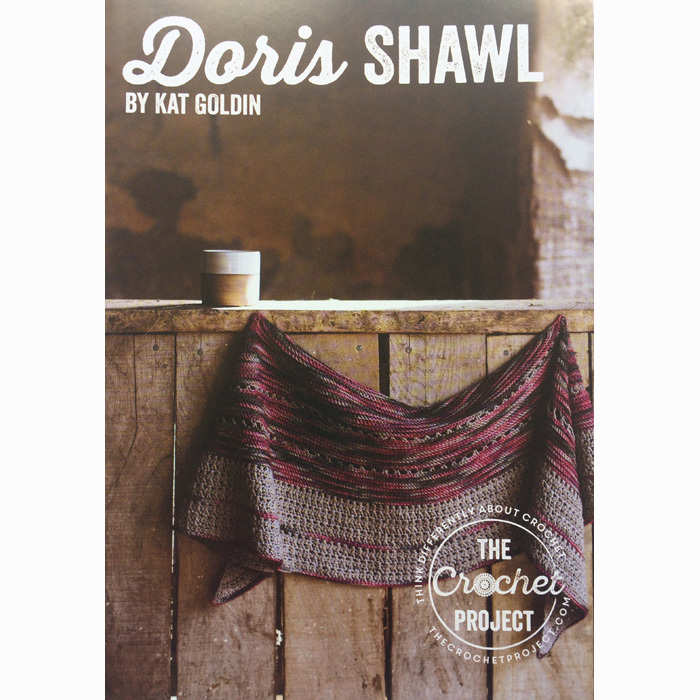 Patterns are written using UK crochet terms with American terms in the abbreviations section, all are charted and come with a schematic and if you’re feeling adventurous there’s a section on designing your own shawl. 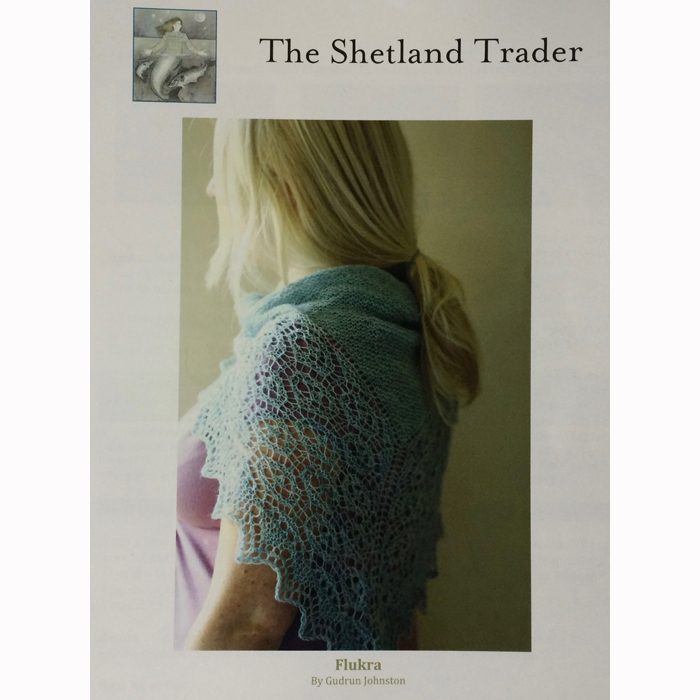 FLUKRA – snow falling in large flakes Shetland. 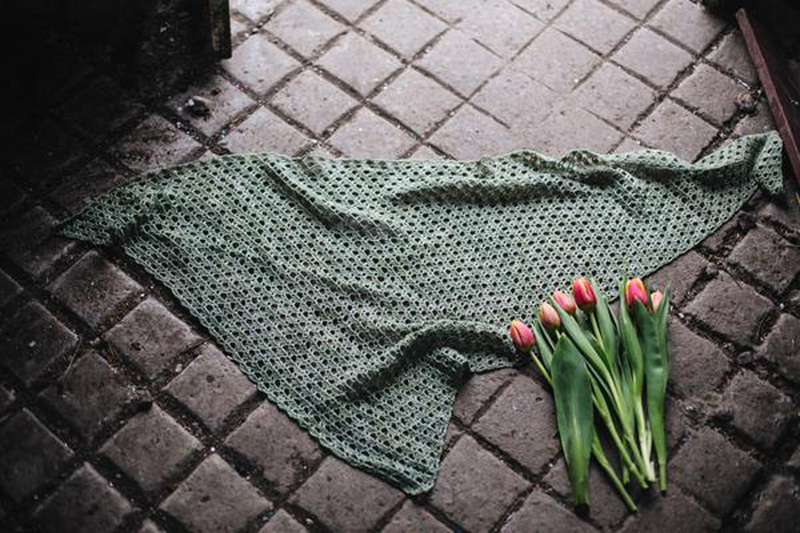 This shawl begins with a Shetland construction method to create the center triangle. Stitches are then easily picked up from the yarn over loops that are formed down two sides and the border is worked outwards from the triangle. 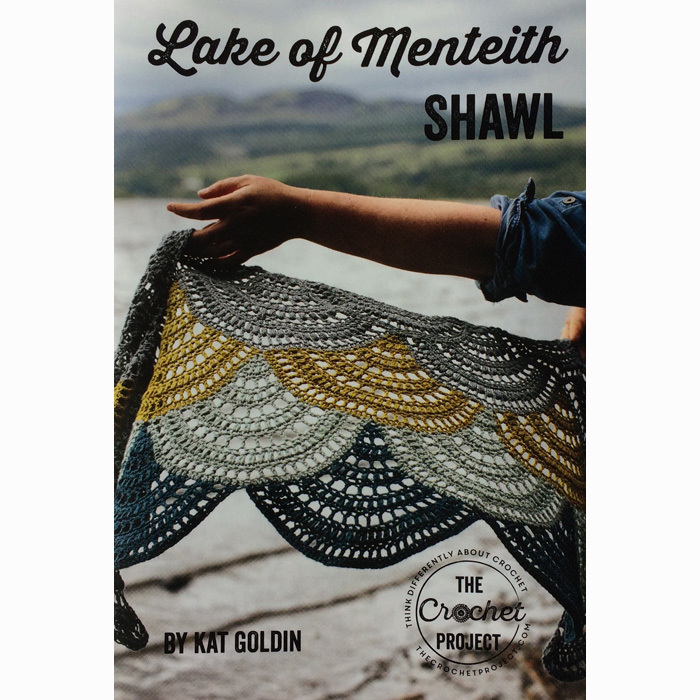 The shawl is finished with an edging that is knitted sideways and attached to the live sts of the border as it is being worked. 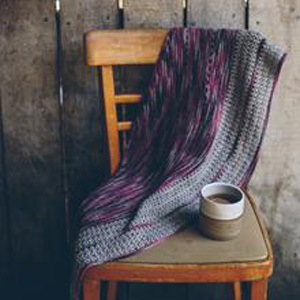 Lace is worked on both sides of the knitting, however there is no right or wrong side to the knitting. 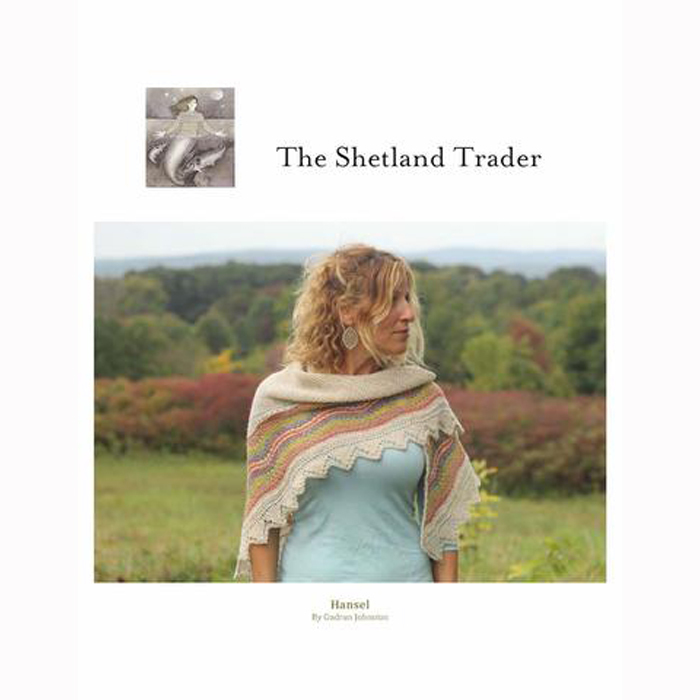 This pattern is for a full or half sized version of a traditional Shetland Hap shawl. 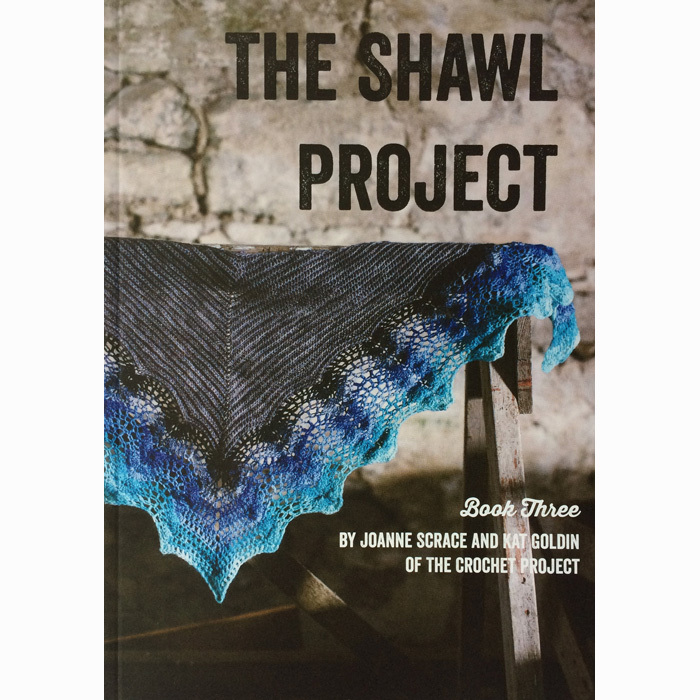 The shawl is constructed in 3 parts. It begins with the centre worked in garter st. Yarn overs are formed at the beginning of every row during the centre section. Stitches are then easily picked up from the very visible yarn over loops along the edges and the border is worked outwards. The shawl is finished with an edging that is knitted sideways and attached to the live sts of the border as it is being worked. 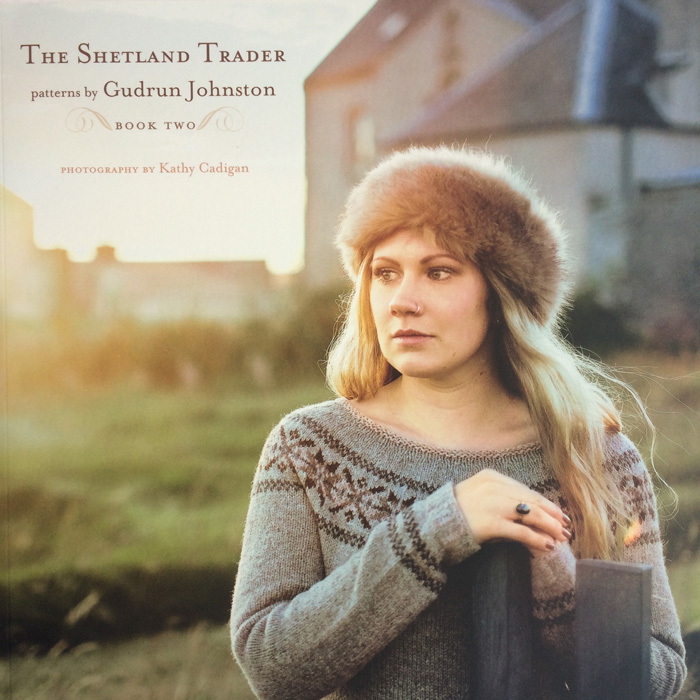 Designer Gudrun Johnston draws inspiration from the Shetland Islands in this collection of nine patterns that feature fairisle and lace techniques. 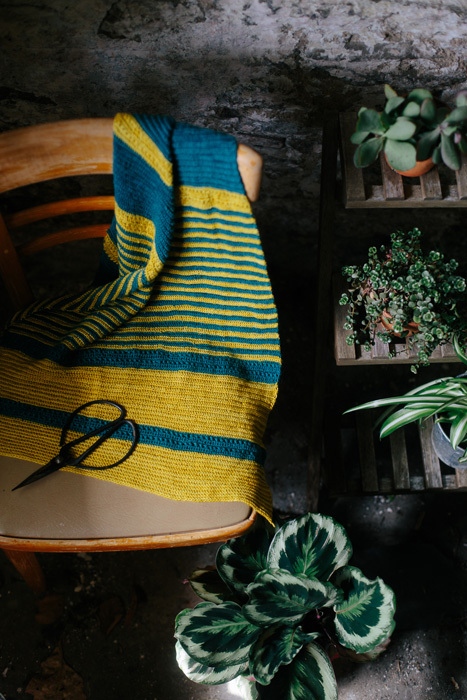 There are five sweater patterns, a cardigan and three accessories using a range of yarn weights the sweaters and cardigan come in a wide range of adult sizes. 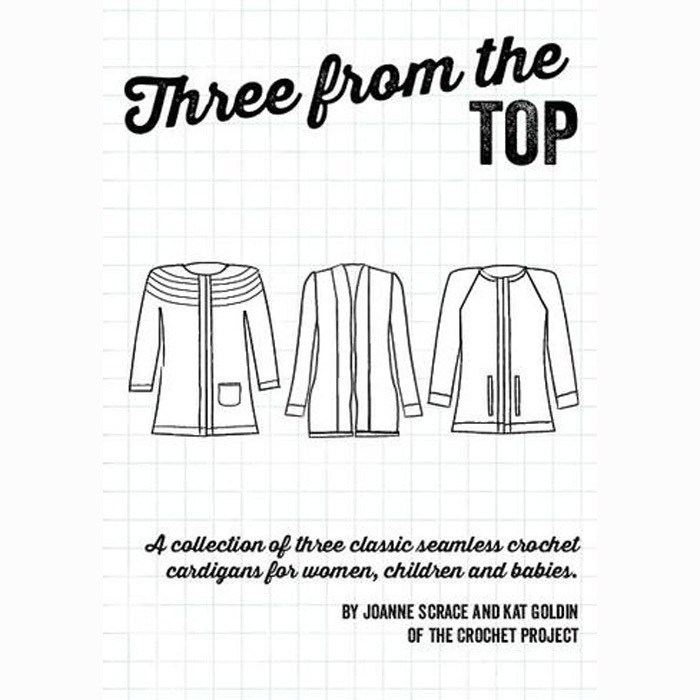 Three From the Top from The Crochet Project has three patterns for top down, crocheted cardigans that will fit any one from new born baby to a 60 inch bust. 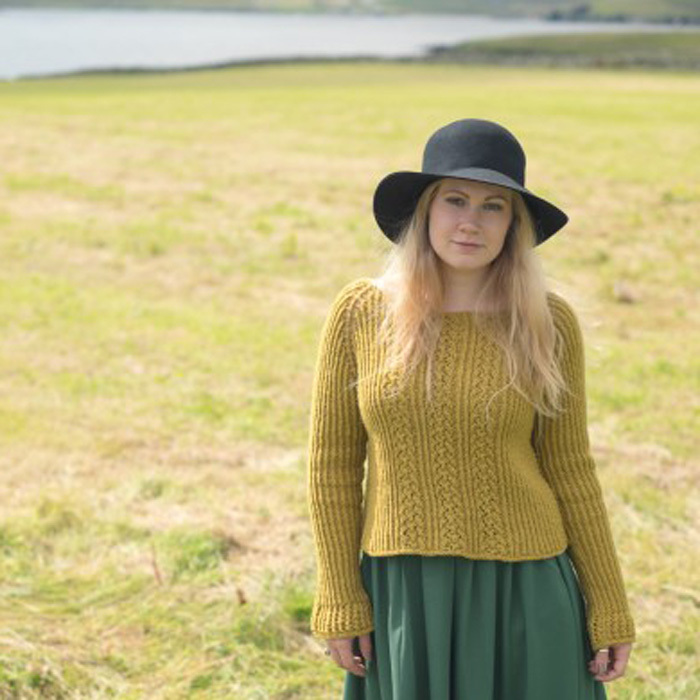 There’s Aberfoyle a simple, circular yoke cardigan with eyelets and contrast stripes at the yoke, hem and cuff. 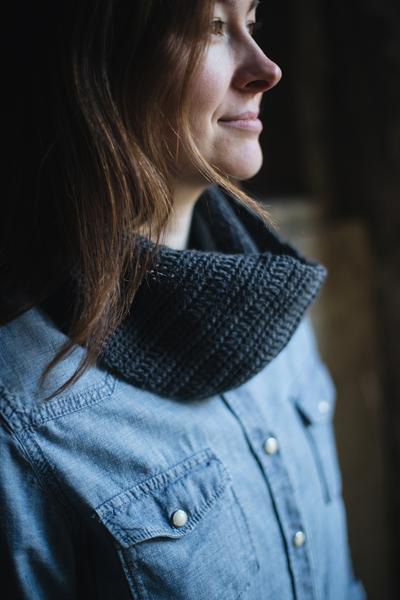 Callander, a raglan with textured edgings and a single button at the neck. And Kippen a shawl collared cardigan with ribbed collar, hem and cuffs. All the patterns are well written with detailed instructions using standard UK terms. 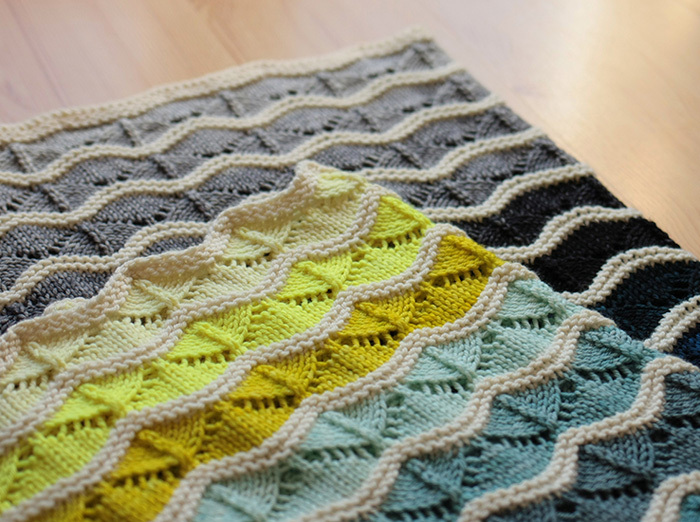 A modern heirloom blanket in wonderful combination of lace and stripes. The lace pattern is both charted and written out. 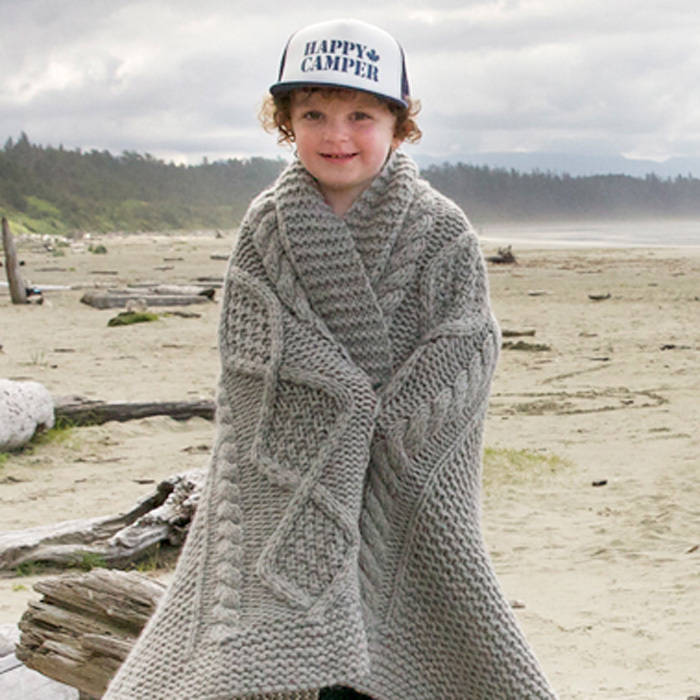 Size: Pram (throw / crib) sized blanket measures 27 (32)” wide by 33 (43)” long. The sample shown is the throw / crib size. 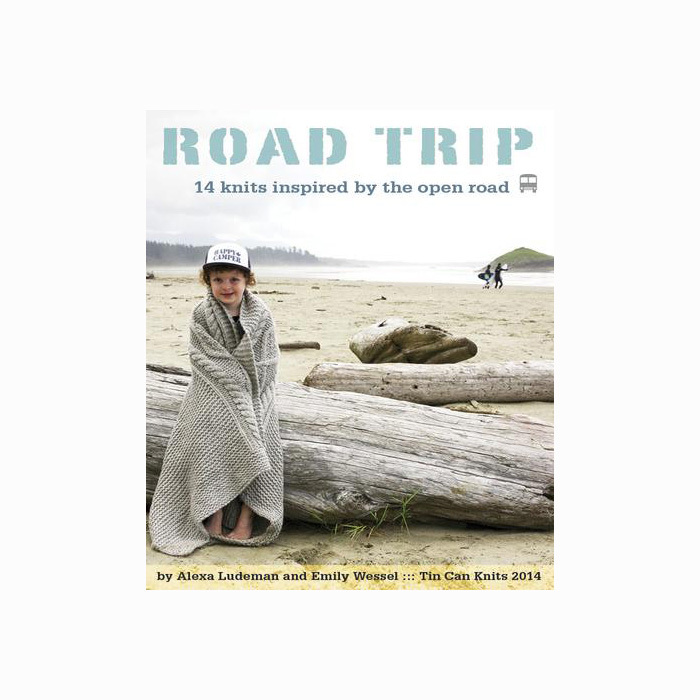 Blanket width can be adjusted by adding or subtracting a multiple of 12 sts (2.75”). 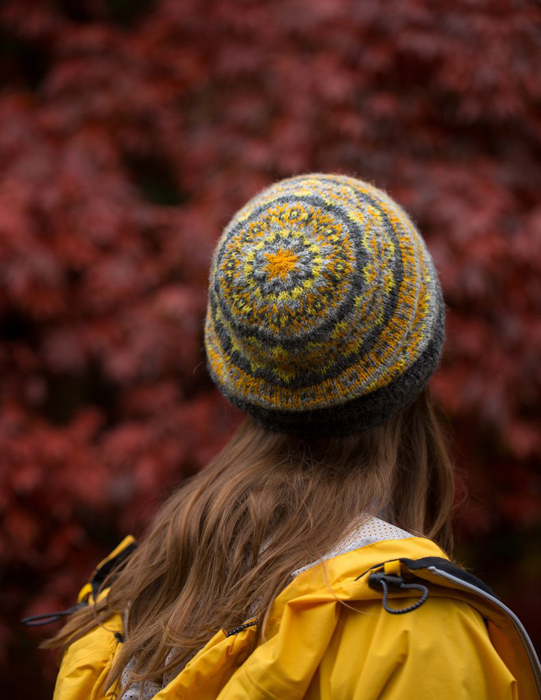 Nostalgic knits inspired by trips across Canada: expansive mountain views, coffee in quaint towns, and bonfires on remote beaches. 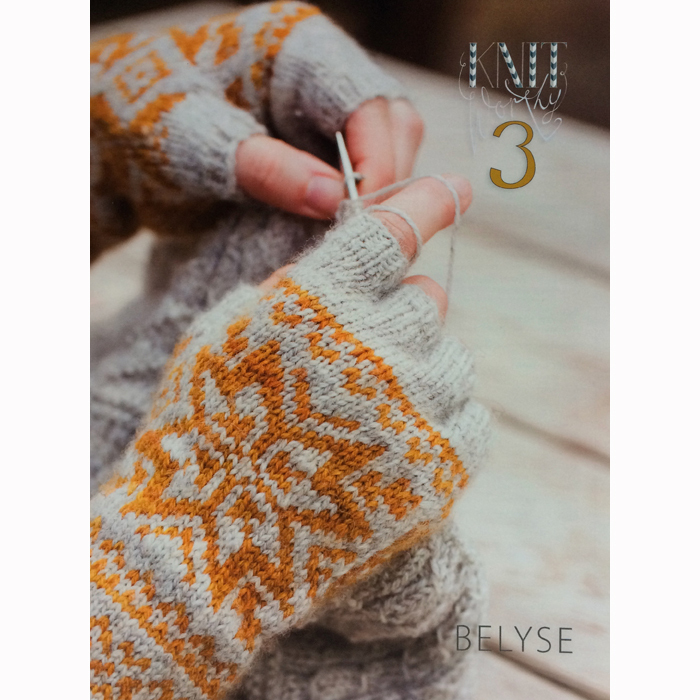 With cables, colour work and lace, this book is full of delicious designs in children’s and adults sizes. Fingerless gloves featuring a classic star motif and a less traditional fingers-first-construction. 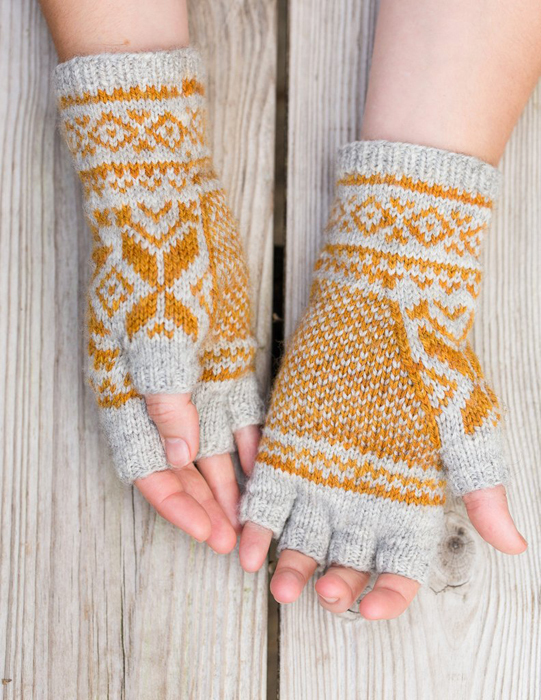 The high contrast two colour palette and motifs are inspired by mittens from the Selbu region of Norway. Size: Finished length 21cm, finished knuckle circumference 20cm. 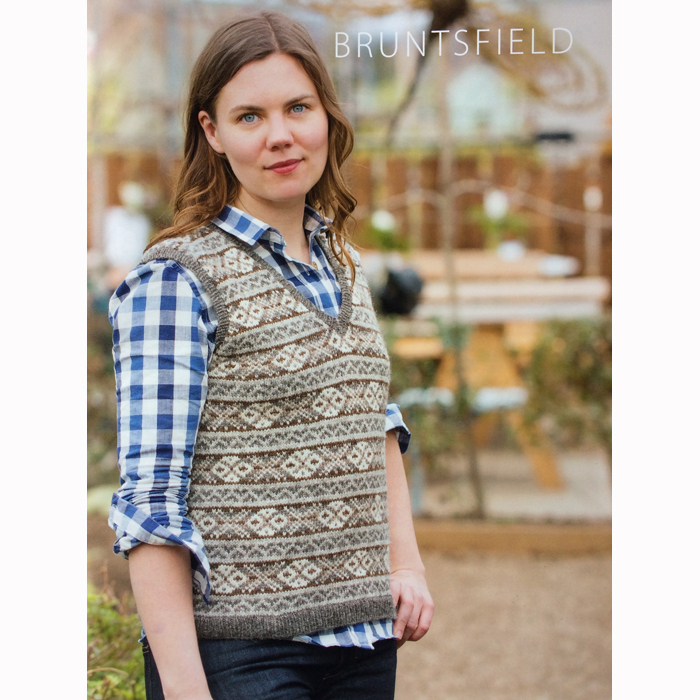 A V-neck Fair Isle vest with strong lines and traditional x and o geometric patterns. Worked in the round from the bottom up additional steel stitches are added to bridge the gaps at the arm and neck holes to avoid working stranded colour work back and forth. 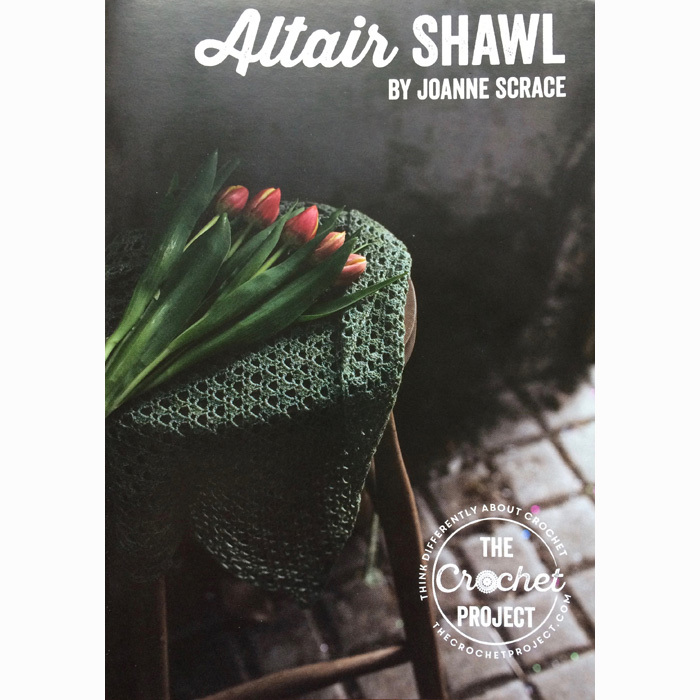 When the knitting is completed these are finished with crochet and cut open, detailed illustrated instructions are included. After cutting the steaks open, stitches are picked up around the armholes and neck and ribbed bands are worked. 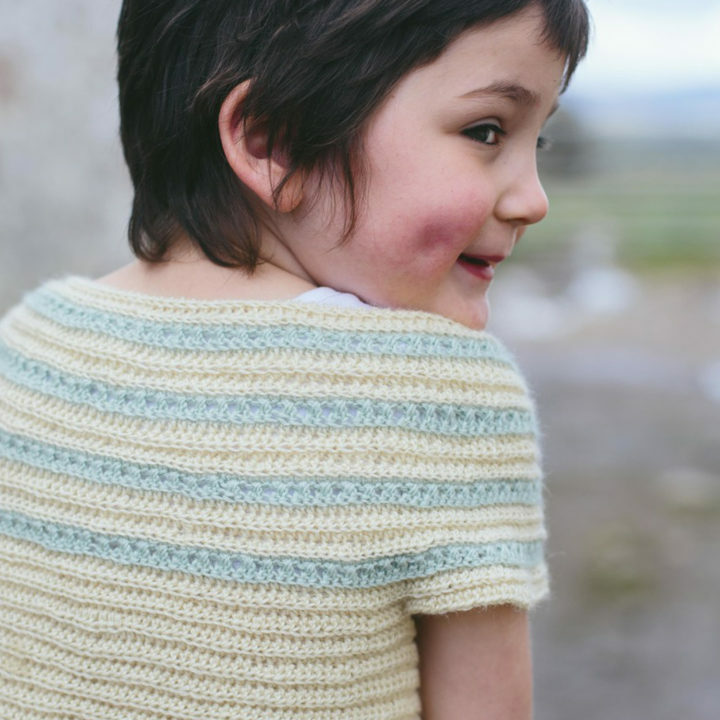 A crisp V on the neck is created by working mitred decreases. A colour in chart is included to help with planning colour combinations. Five colours are used. Sizes: 30¾[34¼, 37¾, 41¼] (44½, 48, 51½) [54¾, 58¼] finished chest circumference. 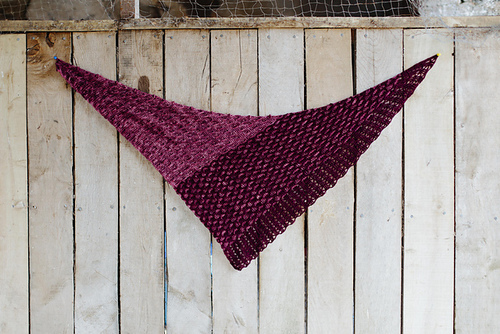 A snuggly cabled shawl with a gentle curved edging and triangular centre. The edging is worked first, and then stitches for the centre are picked up along one of the long edges and decreased towards the top. The cable patterns on the edging would be an excellent introduction to cabling and a good place to practice cabling without a cable needle. 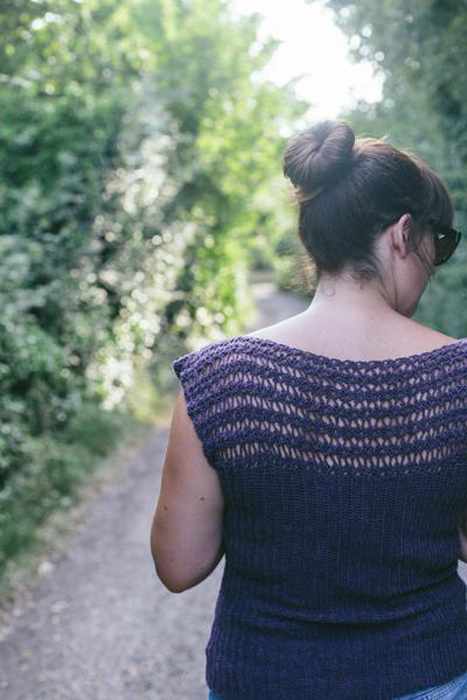 No crossings involve more than a total of 4 stitches and the pattern is intuitive to follow. Short rows are worked into each repeat so that the outer edge is longer. 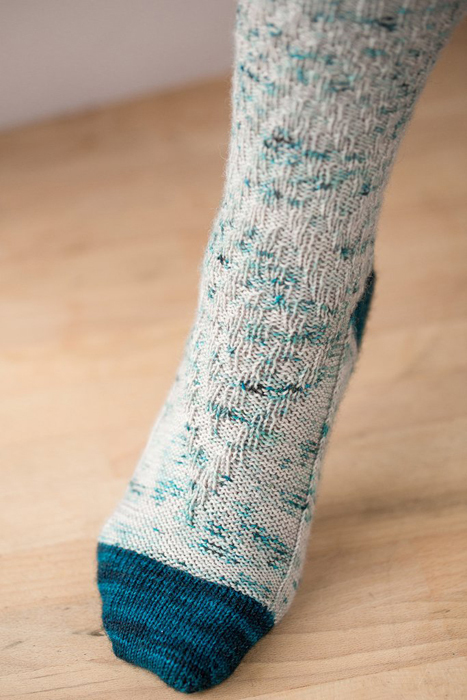 Top down socks with shapely contrast colour toes and heels. The afterthought heels are innovatively shaped with four sets of decreases, to cup the base of the heel like a traditional heel turn. Stitches are increased while placing stitches on hold for the heel, so that there are enough stitches on the sole to wrap around the instep. These are then decreased as for a traditional gusset. Step by step photos are provided for removing the holding yarn and setting up the heel to insure a neat, hole free result. 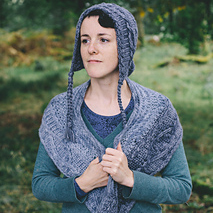 Mareel contains elements of two classic shawl designs a Pi shawl and a Shetland Hap. 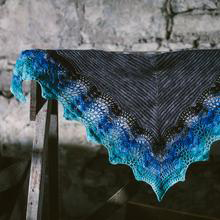 The centre is worked as a half Pi shawl, from which the striped feather and fan border continues with shaping worked into the feather and fan pattern. The edging is then knit sideways onto the live border stitches. 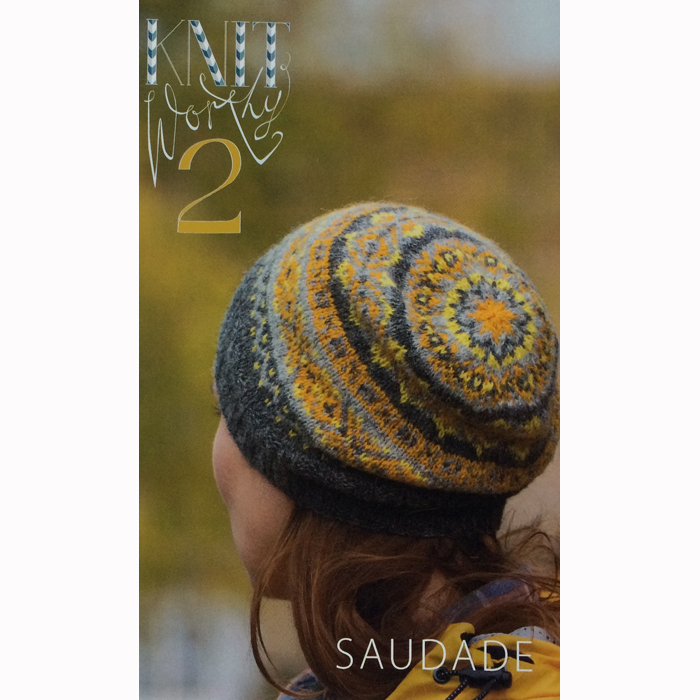 A slightly slouchy Fair Isle patterned beanie. 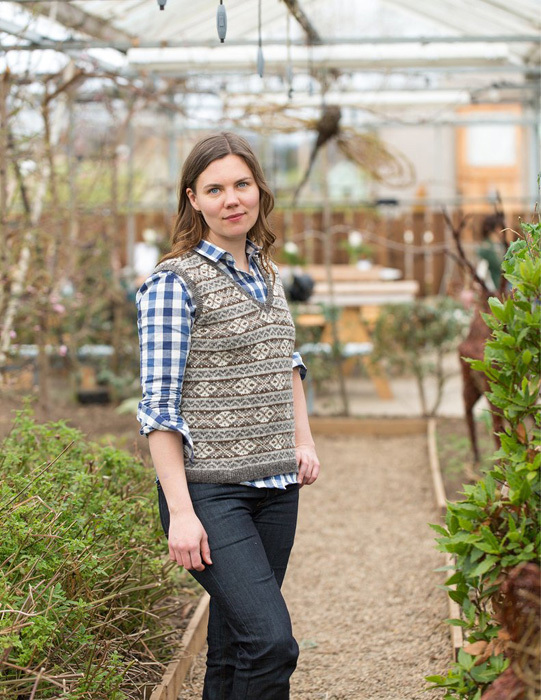 Deep ribbing keeps things simple and streamlined from the front, with the colourful Fair Isle as a beautiful surprise when you turn your head. Size: Finished circumference 44(49,56)cm. Finished length 24cm.